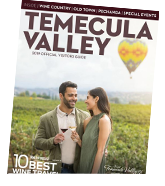 The excitement of Vegas, plus everything for an ultimate Casino experience, is right here in Temecula Valley. We have lots of Casino action if your game is Slots, Blackjack, Poker, Craps, or Roulette we have something fun for everyone! From intimate high-limit rooms to non-smoking gaming we have what you need to get the action started. You will also find fabulous food and entertainment. We invite you to "Play" here in Temecula Valley. You must be 21 to play in the casinos.